Note: Trailhead is not directly connected to the parking area. 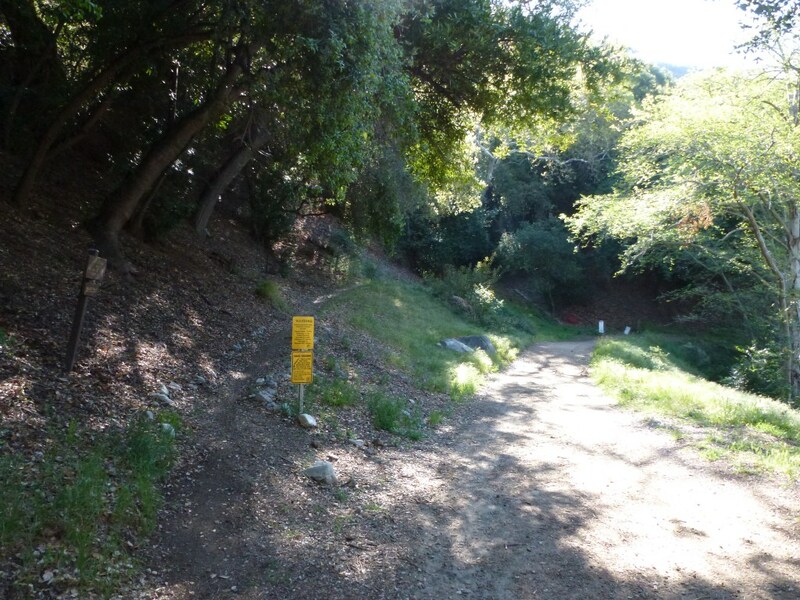 See Lower Sunset Ridge Trail Segment for directions. 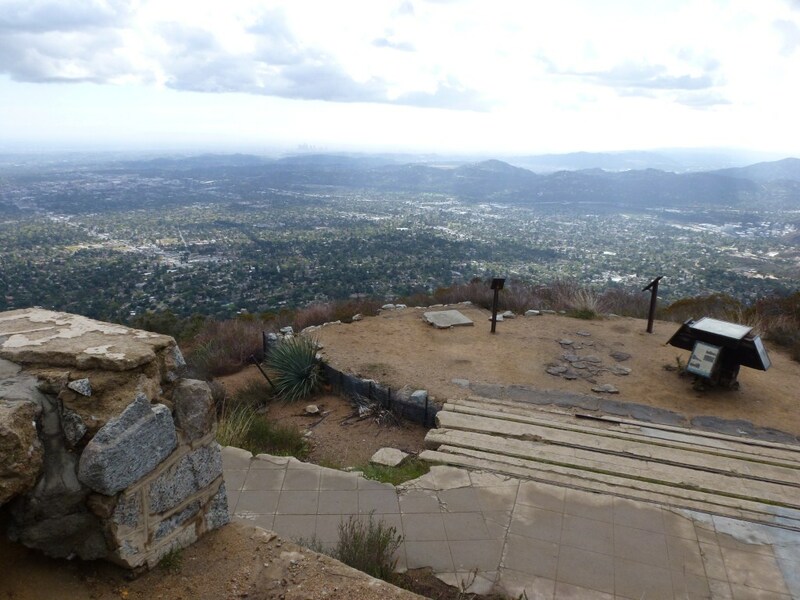 Stats: From Millard Canyon Trailhead to Echo Mountain: 4.4 miles, 1782′ gain, 250′ loss; from Echo Mountain to Millard Canyon Trailhead: 4.4 miles, 250′ gain, 1782′ loss; Round Trip: 8.8 miles, 2032′ of gain and loss. Trail Segments: Take the Lower Sunset Ridge Trail to the JCT with the road leading to the Cape of Good Hope. Follow the road up about a quarter mile to the connection with the Upper Sunset Ridge Trail and take that to the Cape of Good Hope. From the Cape of Good Hope, go down the road a short distance and follow the Lower Mt. Lowe Railway Trail down to the JCT with the Lower Sam Merrill Trail and continue straight to the White City Ruins at Echo Mountain.